Make sure your child is ready for the fun and excitement of a LARP quest while properly fortified against the bruises and scratches of battle. The Kids Felix Leather Greaves assists in the avoidance of injury during said adventure. 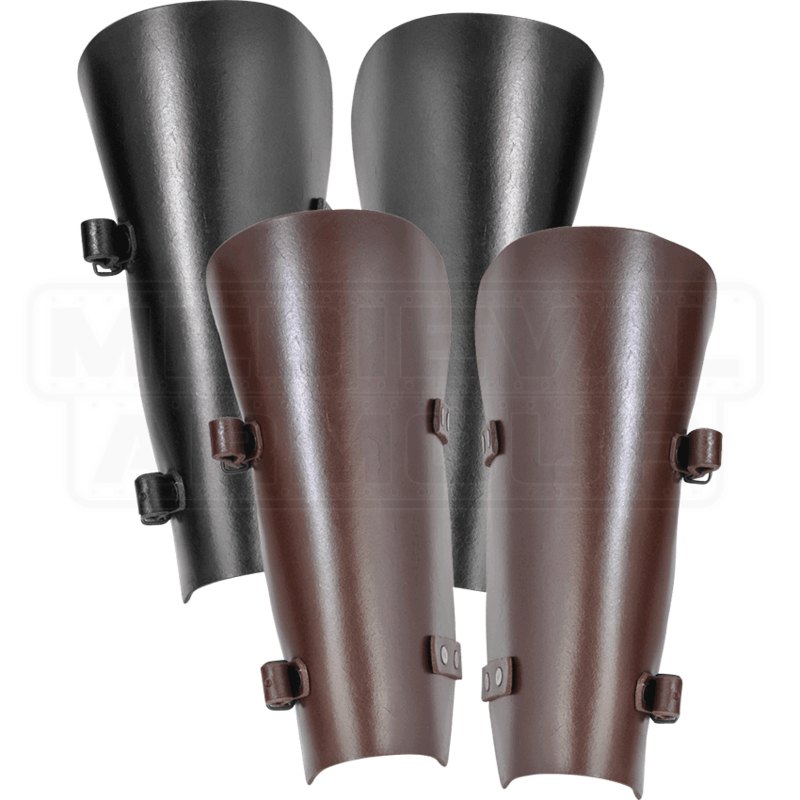 Whether your son or daughter chooses the role of Viking raider or medieval knight, these greaves offer protection for the shins. Handmade from split leather, this pair follows a simple design that matches a wide variety of looks. Two sets of buckle straps adjust the fit. 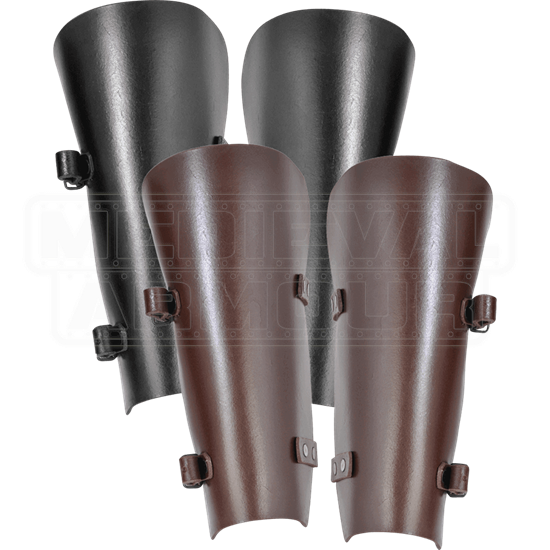 Create a complete look by combining these greaves with the rest of the Felix armour and battle gear.